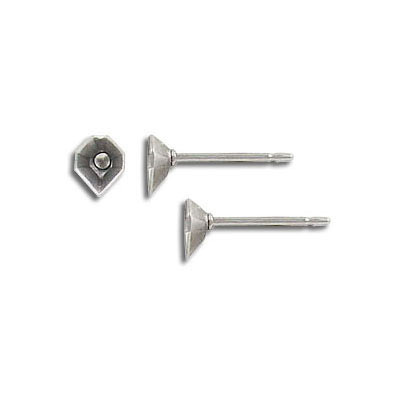 Ear post, heart-shaped setting (5.5x5mm), stainless steel. Grade 304L. Frabels Inc.